The two main schools of thought when it comes to market analysis is fundamental analysis and technical analysis. Though they are not mutually exclusive, most traders will fall into one category or the other. From the analysis standpoint, both fundamental and technical analysis provide their unique advantages and drawbacks. In this lesson, we will discuss the pros and cons of each of these analytical approaches. So, what is technical analysis? Technical analysis is a method of forecasting that is based on the study of past price movements. Often you will hear that technical analysis is more of an art that a science. This is so because when we are trying to predict future price movements with technical analysis, there can be many nuances, which can sometimes lead to different conclusions. The primary tool for technical analysis is price data. Regardless of the chosen timeframe, price data is the most important consideration. Essentially technical analysis provides a framework where an analyst can make informed decisions in the market by studying the current price action and comparing that to previous historical occurrences. Technical analysis can be applied across many different markets including stock indices, currencies, commodities, individual stocks, and futures. So long as a market has a good amount of liquidity, and is not easily prone to outside influences, technical analysis can be applied in an effective manner. One example where technical analysis may not be that effective, due to the lack of liquidity and propensity for outside influences to effect price, would be a very thinly traded penny stock. Price Discounts Everything – Technical analysts believe that the currently traded price reflects all known information available to market participants. And any new information that is presented is quickly reflected into the price of the security. Price Moves in Observable Trends – Trends exist in the market, and the technician believes that these trends move in a predictable non-random fashion that can be observed by the trained eye. A trend tends to emerge from trading range activity, then as the trend matures, it eventually moves back into a consolidation phase, before a new trend phase emerges again. History tends to repeat itself – The markets display a repetitive, recursive nature within its price data. Although no two patterns within the price history look exactly the same, there can be quite a resemblance that cannot be explained away by noise or randomness. These repeating patterns can be seen in chart formations, candlestick patterns, momentum footprints, volume and other forms of price related data. What is Fundamental Analysis? Fundamental analysis is a form of market analysis that seeks to determine the underlying value of a security through the study and assessment of economic data. Within the foreign exchange market, the fundamental analyst attempts to evaluate the overall conditions within an economy using various economic data such as GDP, Employment, Inflation, Interest rates and more. In the forex market, central bank activity is very closely monitored by fundamental analysts. Upcoming interest rate decisions, meetings, and speeches by high ranking central bank officials are extremely important to a fundamental trader. Fundamental analysts will try to gauge the overall market conditions using various economic reports in an attempt to find mis-pricings that can lead to trading opportunities. Fundamental traders can be short term traders that try to capture price moves during potentially high volatile periods such as US Non-Farm payrolls report or they can be long term macroeconomic position traders that are more interested in multi month or multi year trends. Unlike technicians, fundamental analysts are more concerned with the why rather than the what. Fundamental traders are looking for answers as to why the economic conditions are the way they are, or try to justify their forecasts based on the why factor. The technician on the other hand, is much less concerned with the why, and much more focused on the price action in front of them. One big driver of a currency’s value is the country’s current interest rate. When a particular country’s interest rate is higher relative to others with similar economic conditions, foreign investment and capital will flow into the country with a relatively higher interest rate. Investors are always looking for higher yields and as such a higher relative interest rate will tend to attract more capital from the global markets. Some fundamental traders often use the forex market to simultaneous buy high yielding currencies against those offering lower yields. This strategy, called the carry trade, is quite popular among longer term fundamental traders and large global investment funds. Applicable to Any Timeframe – Regardless of whether you are a short term, intermediate term or long-term trader, you can apply technical analysis tools to your decision-making process. Ability to Analyze Trends – There are many different studies that a technical analyst can use to analyze the current trend of the market. These include moving averages, trend lines, channels, swing highs and lows, and support and resistance, among other things. Help with Market Timing – The primary job of a trader is to find the best trading opportunities available and then apply the right timing in executing the trade. Technical analysis tools assist traders in entering, managing and exiting their positions in a methodical and efficient manner. Ideas Can Be Programmed – Many concepts within technical analysis can be coded and developed into algorithmic trading systems. These types of automated systems help reduce the negative emotions associated with trading. Once you have the rules programmed with your trading system, you can step back and let the algorithm execute your rule-based system in the market. Reveals the Mood of the Market – By studying price action and performing chart analysis, you can gain a better understanding of where sentiment extremes lye within a particular market. You will be equipped to identity extremes in investor sentiment both during runups and selloffs. Additionally, you will gain insights into where future demand and supply exists, so you can position yourself on the right side of the market before the crowd does. Simpler and Less Time Consuming – Fundamental analysis often involves many variables and moving parts, such as Interest Rates, Inflation, Consumer Sentiment, Money Supply and a host of other factors. This can lead to over complicated models, that only PHDs in economics may be able to understand. On the other hand, technical analysis models are usually much more simplified and easier to build and implement since the primary variable or building block is price action. Mixed Signals – There will be instances when your technical analysis tools will provide mixed or conflicting signals. For example, based on your analysis of support and resistance, you may be getting a buy signal, however, your complimentary MACD indicator may be suggesting a sell scenario. This type of scenario does occur from time to time, and can be quite frustrating. At that point, a trader must decide whether to take the trade or pass on it based on the conflicting analysis. Analysis Paralysis – This is a condition where traders overanalyze to the point where they become paralyzed to act. This usually occurs when the trader is trying to line up all their ducks in a row, which rarely happens in real time trading. In trading we are dealing in probabilities and not certainties. We have to act based on incomplete information most if not all of the time. With so many technical tools available to the trader, some fall into the trap of over analyzing and not being able to make a trading decision. The best solution to this problem is reducing the clutter and going back to the basics. Can be Influenced by our Biases – Although technical analysts rely on price as their primary analysis tool, certain biases can influence the way that they perceive the information that they gather from the charts. For example, if you have a bullish bias in the EURUSD pair, you will subconsciously look for and validate long opportunities, while suppressing or ignoring signals that are pointing to a weakening condition in the EURUSD. Many times, we will not even be aware that this is happening, and so it’s imperative that we try to truly keep an open mind while analyzing the charts. Interpretations can Vary – As we pointed out earlier, technical analysis is more of an art than a science. Two technicians can look at the same price chart, and sometimes come up with two polar opposite interpretations. This is not all that uncommon, and one of the culprits of this is our internal biases as we have touched upon earlier. In addition, chart patterns that seem clear in hindsight can be quite subjective in real time. And so, interpretations can be different from one technical analyst to the next as the price action is unfolding. Can Help Explain Price Movements – Major economic news and reports can quickly drive the market prices in one direction or the other. This is especially true when the figures for an economic release are unexpected or diverge significantly from the consensus numbers. Provide Insights into Global Markets – Taking a fundamental approach to analysis helps the analyst to better understand what is happening in a particular country’ economy and in other economies around the world. It provides broad insight into global market conditions. Finding Valuation – Every financial instrument or asset has a certain value associated with it. It is a trader’s job to find assets where there may be a discrepancy between the true value of an asset and the currently traded market price. Fundamental analysis can help a currency analyst in this regard by studying interest rates, inflation, consumer sentiment, industrial production, and other relevant factors. Long Term Trend Analysis – The true power of fundamental analysis is in helping a trader craft a long-term view of a particular currency pair or asset. Most data points within economic reports are typically compared and analyzed on a relative basis. For example, asking the question, what is the unemployment figures today compared to last month, last quarter, and last year? This will help in knowing what the current trend is as it relates to unemployment, and then we can use that information, along with other economic data, to predict the potential impact on the price of a currency pair over the longer term. Information Overload – Fundamental analysis is a very broad and deep subject. There is so much information available to traders and investors that digesting all of it can be quite overwhelming to say to least. This can sometimes lead to confusion and result in being counter productive at times. Not Well Suited for the Short Term – Although economic data and reports are released regularly throughout the month, trading the news on a short-term basis poses many challenges including widening bid ask spreads around news events and unpredictable volatility spikes. As such many fundamental traders tend to focus mainly on the larger term horizon. Lack of Market Timing – Fundamental analysis can provide us insights into the bigger picture view, but it typically cannot provide us with an objective and reliable method for timing our entries and exits. And in trading, timing is everything. You can be right on the direction, but if you are wrong on the timing, your trade will most likely result in a loss. As such, fundamental analysts typically need to rely on technicals or some other technique for entering and exiting trades. Highly Subjective – Although fundamental data is fairly clear cut, the assumptions that you can draw from such data can vary greatly among economists and analysts. For example, one analyst can cite many different reasons why they believe that rising interest rates will be favorable to the economy, while another analyst can cite just as many reasons for why they believe that rising interest rates will have an adverse effect on the economy. Regardless of whether you consider yourself a technical analyst or fundamental analyst, you must become familiar and proficient in using certain analytical tools to assist you in your analysis. Let’s take a look at some of the primary tools that technicians and fundamental traders use. Currency Correlation Tool – Price movements of certain currency pairs tend to be related. A positive correlation occurs when the price of two pairs tends to move in the same direction. A negative correlation exists when the price of two pairs tends to move in opposite directions. Currency pairs that do not display any price relationship are said to be uncorrelated. A currency correlation table allows a trader to quickly find these relationships. It’s important to know the correlation between pairs that you are interested in trading or already have a position in because it will help to reduce your overall position risk. Forex Volatility Tool – A currency volatility tool provides a typical pip range that can be expected within a specified period of time. This could be the average over a period such as one hour, one day, one week, or some other specified period. Knowing the volatility of a currency pair can help a trader in selecting the right pairs to trade and in setting realistic profit targets. Both the volatility tool, and the aforementioned currency correlation tool can be found at Mataf.net, a popular site that provides a wide array of tools for forex traders. Technical Indicators and Oscillators – This is a favorite among technical traders. There are many different technical tools available. There are momentum indicators such as MACD, RSI, and Williams %R. There are trend indicators such as moving averages, and trend lines. There are volatility bands, such as Bollinger Bands and Keltner channels. Technicians try to find confluence among various technical studies in order to narrow in on high probability trading opportunities. Price Action Analysis – Price is the single most important tool within a technician’s toolbox. The current price reflects the motivations of all market participants and the supply and demand balance at any given point in time. Many technical traders rely exclusively on price action analysis, combining support and resistance levels, and candlesticks to gauge the potential movements of price going forward. Chart Pattern Analysis – Chart analysis is also a very popular technique used by some technicians. Some traditional chart patterns include Head and Shoulders, Double Top and Double bottoms, and Cup and Handle formations. There are also Fibonacci based patterns, such as a Gartley, Bat, or Butterfly. Furthermore, there are candlestick patterns and more advanced technical analysis patterns such as Elliott waves that can be analyzed as well. As humans we have a natural tendency towards pattern recognition, and this translates into our desires to look for patterns within price charts. Economic Calendar – One of the key day to day tools for a fundamental trader is the economic news calendar. 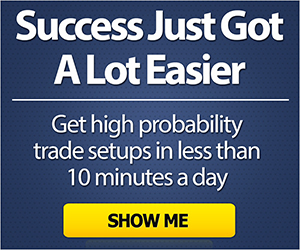 There are many different sources that make this available including Econoday, Forex Factory, and Trading Economics. A favorite among many forex traders is the Forex Factory economic calendar. It lists all scheduled economic reports, along with other important geo-political events. It provides a color-coded system where you can sort by low, medium, and high impact events. Short term news traders try to capture intraday profits during high impact news events, while macro fundamental traders rely on it to help them build a longer-term outlook for a particular currency pair or country. Financial Newswires – Some professional traders rely on financial newswires such as Reuters, Bloomberg, or the Financial Times, in order to get the news that they need. Many well known financial newswires, such as these, offer streaming and real time news as it happens and provides worldwide coverage through hundreds if not thousands of publications and sources from around the globe. Many traders and investors that trade fundamentals rely heavily on these services. 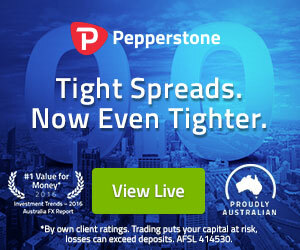 Analyst Reports – Fundamental traders need to keep up with the latest economic releases and news events of the day, and while and economic calendar and financial newswires are essential tools in helping to shape a view of the market, it also helps to get additional insights and perspectives from other analysts as well. There are a handful of highly sought-after fundamental analysts that provide ongoing and timely foreign exchange and macro-economic analysis. So, you might be asking, technical analysis vs fundamental analysis, what type is better? Well personally, I prefer to use technical analysis in my trading as it provides a complete framework from which to analyze, enter, manage and exit trades. And so, I urge all traders to learn technical analysis, even if it’s only at a basic level. Other traders swear by fundamental analysis, and yet another group of traders use a combination of both. There is no right or wrong answer. You just have to really learn and apply both approaches for yourself and see what works best for you.